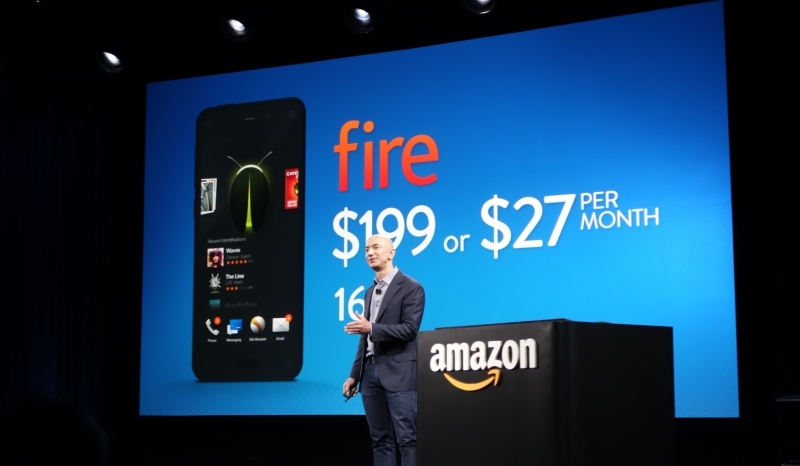 It's pretty well established now that the Amazon Fire Phone was a complete and utter failure for the company. Data from two months ago indicated that as few as 35,000 Fire Phones were in circulation, causing Amazon to slash their on-contract price in an attempt to shift more stock. Now that the company's third quarter earnings report is in, we're getting a better look at how the phone has performed. For Q3 2014 Amazon posted revenues of $20.84 billion, up 20% from the same period last year; however operating losses were significantly higher at $544 million. Amazon wrote off $170 million as a direct result of the failed Fire Phone, stating the company has a further $83 million of inventory still to deal with. Executives said they were learning from their successes and failures, and might not be so quick to jump into a market next time around. Amazon's financial results were also affected by the $1 billion acquisition of Twitch, and a $2 billion investment in the Indian ecommerce market. Despite a large increase in free cash flow compared to Q3 2013, Amazon stock tanked by 10% in after hours trading following the news of a significant operating loss. Next quarter Amazon expects the losses to continue, estimating to lose around $570 million for the period. It may be some time before the online retail giant can return to profitability.